Home » How healthy is your project? Use a Project Checklist! How healthy is your project? Use a Project Checklist! It’s good to bring in a project checklist halfway through your project, but it’s even better to start checking right from the beginning. Establishing good practices early makes it so much easier for everyone involved to form good habits. This will pay off later when the pressure is on and people haven’t got time to learn new processes midstream or correct costly errors. All of these items need to be agreed and approved. 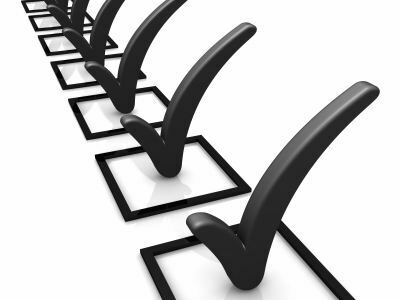 Such a checklist can also be used if you are taking over the management of an existing project. It’s good to identify any gaps and highlight them, along with the cost/benefits to get the support from the sponsors to make any necessary changes. It’s always much more difficult to put processes in place when everything’s in progress already. Always publish! In fact, associating some sort of graphical representation of the health of the project, such as a graph or thermometer for each item, showing how the project rates and how it is improving over time, will add a new and refreshingly open dimension to your project reporting.